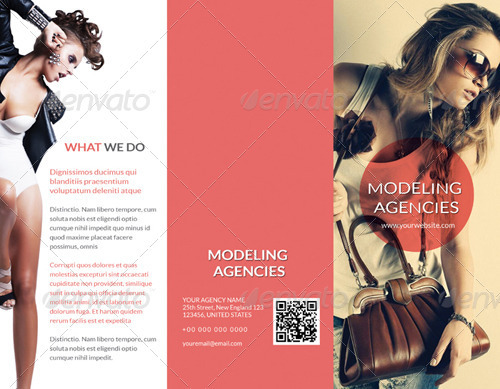 Professional Tri-Fold Brochure perfect for fashion modeling agencies and designer or fashion studio. 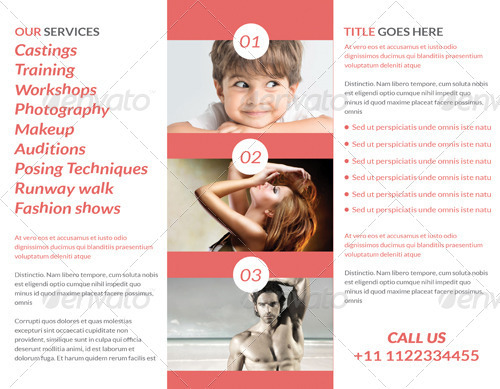 Used image is NOT included in the download, this is just for illustration purpose. You can find link of used image with downloaded main file. You can quickly replace your image with the photo you want!